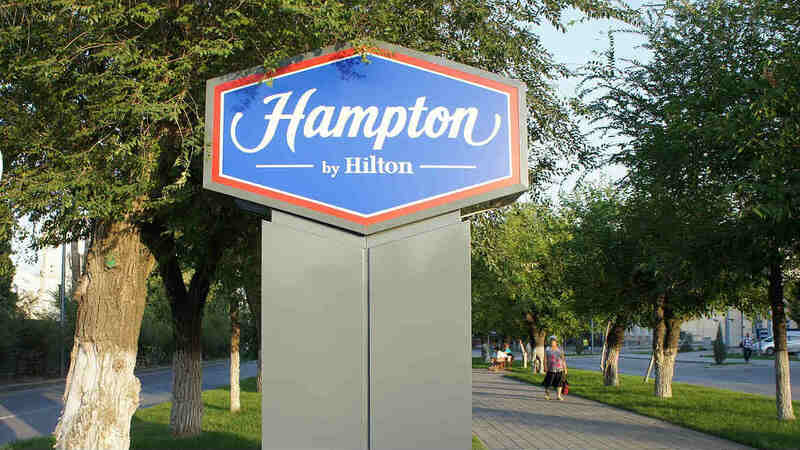 Who Does the Hilton Honors Amex Appeal to Most? Decision Time: Is the Hilton Honors American Express Card Right for You? People who travel a lot can really benefit from having a good travel rewards credit card. If your travel expenses are heavily skewed toward money being spent on hotels, then it makes sense to get a hotels-based credit card. This can potentially reward you for money spent on booking hotels, and it can help to mitigate some of the costs. There are actually many options out there for cards that do this, and some of them are associated with a specific brand of hotels. That is the case for the hotel rewards credit card that we will be discussing today. 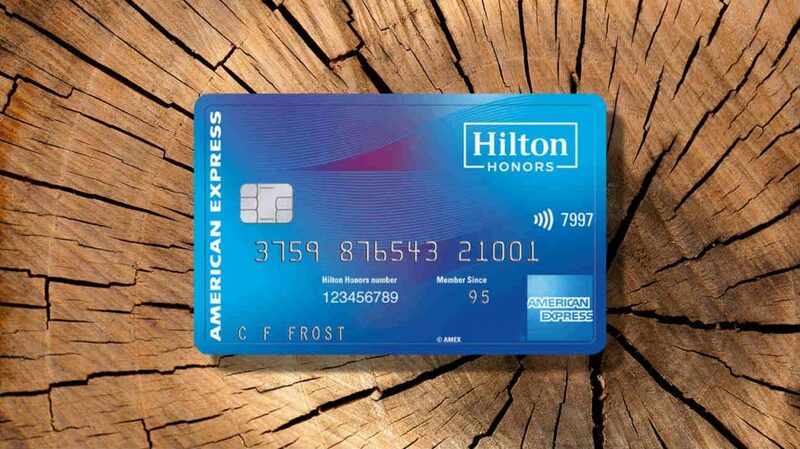 The Hilton Honors American Express card is going to be a very useful card to have when you stay at Hilton Hotels regularly. 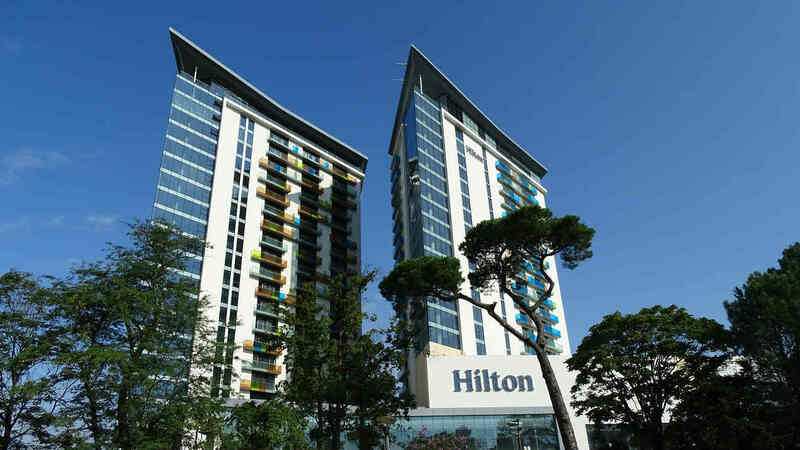 Being that Hilton is such a prevalent brand, this is likely going to be among the most convenient hotel rewards credit cards that you can use. 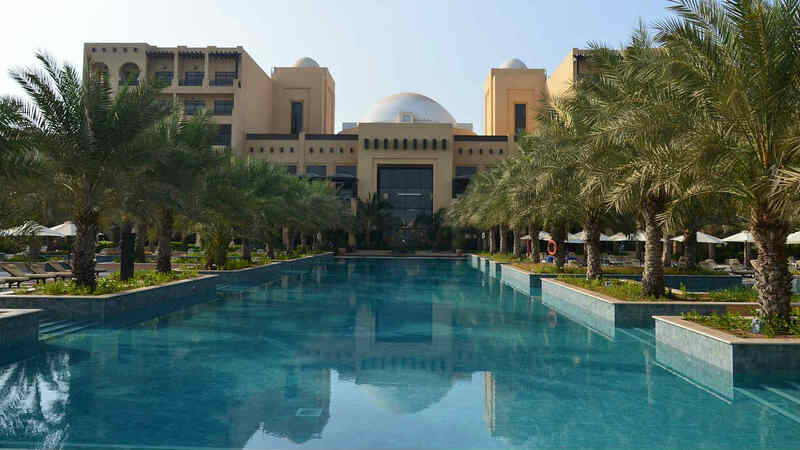 It will allow you to earn rewards for staying at any of the thousands of Hilton locations around the world. That being said, you still want to be able to take the time to make a good decision. If you want to get the very best credit card that is possible, then you need to examine the particulars of this card to see if it lines up with your needs. The Hilton Honors American Express card is certainly a popular credit card option with many features, but it will be good to be able to make an informed decision of your own. Read on to learn all about this credit card and what it brings to the table. You’ll earn 75,000 points after you spend $1,000 in the first 3 months. You’ll earn 7X points Hilton properties. You'll also earn 5X at US supermarkets, restaurants, and gas stations. 3X on all other purchases. Automatic Hilton Honors silver elite status. Spend $20,000 in a calendar year to earn gold elite status through the end of the next year. With no annual fee, this card is great for getting an introductory offer and automatic elite status (which offers 5th reward night free). You will be happy to hear that this credit card does not have any type of an annual fee. Not having to pay money just to have access to a credit card is always going to be a good thing. It makes it easy for just about anyone to justify signing up for this credit card. If you feel like you will be able to use this card to its full potential, then you will not have a pesky annual fee holding you back. This card always never has any foreign transaction fees. This is going to be an especially important factor for many people. If you regularly travel outside of the country and want to be able to stay at Hilton Hotels to earn rewards, then you will be able to do so without worrying about fees. It makes things as convenient as possible for those who have friends or family outside of the country. Fewer fees will always be a good thing, so you can put this as a check mark in the positive column. All of the other associated fees are fairly normal with this credit card. The balance transfer fee of this credit card is set at 3% or $5.00. You will be charged whichever amount winds up being higher. This is a pretty normal balance transfer fee, so it should not really sour your experience in any way. There is also no special introductory APR offer or anything of that nature. Without an introductory APR offer, this card will likely not appeal to anyone who wishes to do a balance transfer. The APR of the card simply falls within average ranges and is nothing that is worth putting much thought into. Combine this with the associated fee, and it makes it unattractive as a balance transfer card. Anyone who travels somewhat often and wants to be able to avoid fees will like this credit card. There are very few fees that will get in your way while using the card. It provides you with a user-friendly experience that will make sure that you earn rewards at a good rate. There may be other cards that offer greater potential for rewards, but being able to avoid many fees by using this specific card will be enough to give it the edge for some people. For the most part, the features of this credit card that will matter to you are going to be related to the rewards program. We will be going into the rewards potential of this credit card later on. There are some other beneficial features and benefits of this card that will help to sway your opinion. For instance, this card comes with a pretty decent welcome bonus. In order to earn the welcome bonus, you will need to make sure that you spend a certain amount of money on this credit card within the first three months of being a cardholder. The purchases must be made on eligible categories in order for you to be able to claim your welcome bonus. This welcome bonus winds up giving you many rewards points that you will be able to work with. It makes it simple to start saving money on your hotel purchases right away, and being able to get a bonus from a card with no annual fee is nice. You can also expect to be able to take advantage of all of the standard features that you would get from most cards. This credit card will give you access to a robust customer service department whenever you need help with something. It has an online chat option, and you can also choose to call customer service agents on the phone. This is a 24/7 customer service experience and should be convenient for all cardholders. You should also expect to be able to take advantage of various benefits as a cardholder. Some of the standard perks include useful things such as car rental insurance and free roadside assistance. Being able to have secondary insurance coverage on a rental vehicle can come in handy while you are on the road. The roadside assistance availability may be a standard benefit, but it is invaluable when you encounter issues while on the road. Cardholders will also have access to baggage insurance and purchase protection. Baggage insurance works excellently to keep your belongings safe on a flight. If your bags are misplaced or stolen while on your trip, then you will be able to be reimbursed. Purchase protection will protect you when items that you purchased are damaged or stolen. 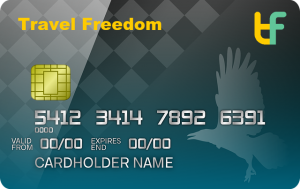 The biggest benefit that you will be taking advantage of is the automatic silver status that is offered by this card. Being able to have access to silver status will give you a 20% bonus to your Hilton Honors base points. It makes it easier to rack up rewards fast, and your 5th night is going to be free whenever you book five nights or more at a Hilton property. This can really help to save you some money while increasing your rewards potential. The card also makes it much simpler to become a Gold status member of Hilton. If you manage to spend $20,000 or more on the card in a calendar year, you will be given this upgrade in status automatically. This gives you a fantastic points bonus of 80%, and it entitles you to some great freebies as well. You will be given a complimentary breakfast at all Hilton hotels and will receive room upgrades when they are available. Cardholders will also have access to several conveniences that will make staying at the Hilton more enjoyable. Your second guest at the hotel will be able to stay for free. Guests will also enjoy express checkout, and late checkouts will also be available. It simply makes your time at the Hilton that much better, so it is worthwhile for anyone who stays at the Hilton often to sign up for a card like this. The rewards program for this credit card is going to prove to be especially beneficial for Hilton hotel regulars. You will be able to earn 7X Hilton Honors points on all of your eligible Hilton purchases. There are many eligible resorts and hotels in the Hilton portfolio, making it very easy to earn this high rewards point total. 7X points for every $1.00 spent on eligible Hilton purchases will add up very fast, allowing cardholders to truly make the most of the rewards system. It is possible to earn increased rewards points in categories outside of hotels as well. You can expect to earn 5X points for every $1.00 spent on United States gas stations, restaurants, and supermarkets. Some may find it to be a bit of a shame that this rewards bonus is restricted to businesses in the United States, but it still is very helpful. It allows cardholders to keep earning rewards at an increased rate, even when they are not traveling. All of the other eligible purchases that you make will give you a rewards rate of 3X per $1.00 spent. This is not too bad for a standard rewards rate. When you combine all of these points that you can earn together, it can really come in handy for paying for your hotel purchases. You will also be able to earn Hilton Honors base points on top of these normal rewards, so this is a truly handy card to have. Redeeming points should always be a straightforward process, as well. Your points will never expire so long as you use the card once every 12 months. This card does not set any caps on the points that you can earn, either. You can redeem points for hotel stays, airfare, car rentals, dining, shopping, and cruises. These points are also capable of transferring to one of the 41 airline partners that work with this credit card program. The high rewards rate of this credit card is hard to deny. You are going to be able to earn rewards very fast if you decide to use this card regularly. Those who take advantage of this card and its generous rewards rate will be able to save money on their yearly hotel expenses. It is simple to earn hundreds of dollars worth of rewards per year if you do your best to spend your money intelligently. This credit card has very easy to redeem points, too. You will be able to redeem your earned rewards in a number of different ways. You can redeem the points for hotel stays, airline tickets, cruises, rental cars, and much more. It is even possible to redeem points to pay for a portion of the cost of a hotel room. Anyone who is after a credit card that can make their hotel experience nicer is going to like this card, too. You will be upgraded to silver status automatically by being a cardholder. You will have access to many nice perks, and staying at the Hilton will be better than ever before. This also increases the base Hilton Honors points that you earn on top of your credit card rewards points. 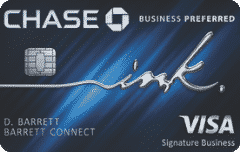 Many people will sign up for this credit card just due to the fact that it is cost-effective. This card has no associated annual fee and this makes it easy to justify keeping it in your wallet. You will not need to worry about foreign transaction fees when you use this credit card, either. It is very good at helping you to keep fees to a minimum while enjoying your hotel experience. It should be said that the value of the rewards points for this card is not as high as some other credit cards. You can earn a lot of points very fast with this card, but the value of the points may be lacking when compared to other options. Each point is estimated to be worth around 0.5 cents. This means that it may look like you're earning more rewards than you really are when it comes time to redeem the points. Also, many cards offer better travel perks. If you are interested in a good hotel rewards card due to wanting access to travel perks, then this card is just okay. It does not have the same perks that a luxury rewards credit card would give you access to. Granted, a luxury credit card would have a large annual fee. It just depends on what you expect out of your hotel experience. Some people will not like being limited to Hilton Hotels either. If you are the type of person who would prefer to look for the best deal possible among many hotel brands, then this is going to make you feel boxed in. If you love staying at Hilton Hotels already, then you will be able to make good use of this card. It just comes down to how you feel about this specific brand and whether you want to be loyal to them or not. Those who are looking to sign up for this credit card will need to ensure that they have a very good credit score. If you have a credit score of 690 or higher, then you should have a good chance of being approved. This credit card requires very good credit, and it will be even easier to be approved if your credit is in the excellent range. Take the time out of your day to check your credit score before you move forward and apply for this card. A credit card like this is mostly going to appeal to people who like staying at Hilton Hotels. If you travel somewhat frequently, then having a credit card that will help you to earn rewards is a good idea. You can earn points to help offset some of your hotel expenses. Those who only travel very infrequently may not find this card to be quite as useful. The card can be used to earn points even when you are not staying at hotels, though. You can earn 5X points on United States supermarket, gas station, and restaurant purchases. These are very common purchases, and it should make it very easy to rack up points, even when you are just using the card near your home. It increases the overall practicality of this credit card for many people. There are a number of different hotel loyalty rewards credit card options to consider. 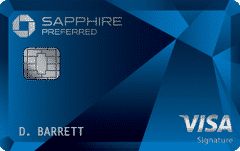 If you are looking for a good alternative to the Hilton Honors American Express card, then you may wish to consider the Capital One Venture card. (Learn more) Although this is not a hotel-based credit card, it does give you great rewards earning potential. You can earn 2 miles for every $1.00 spent using this card, and the miles are valued at 1 cent. Those who sign up for the Capital One Venture Rewards Credit Card can expect a very good traveling experience. It allows you to redeem points toward any travel purchase. It is among the most practical flat rate credit cards that you can get. If you don't want to go with a hotel credit card, then this is a good option that can earn you rewards fast. The Hilton Honors American Express card will appeal to many people. If you travel somewhat often and need a good rewards card, then this is a great option. It allows you to have a better experience than ever at Hilton Hotels. Earning rewards will always be simple, and the rewards will come in very fast overall. There are some other cards on the market that offer better perks or higher rewards potential. Even so, the fact that this credit card does not have an annual fee makes it very practical for most people. You can use this card as much or as little as you would like and will still be able to reap the rewards. This is a solid credit card that will help you to earn great rewards over time while also offering you a smoother traveling experience. RewardStock Exposed ...and for that Reason, I'm Out!